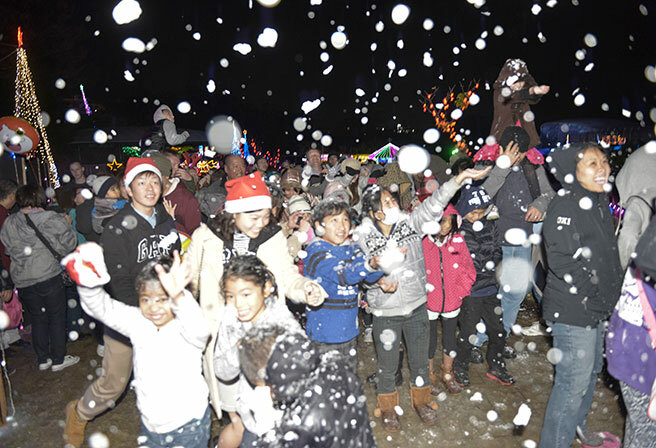 This year will be the 21st year in a row for the annual Okinawa Children’s World Zoo Christmas Fantasy to take place! 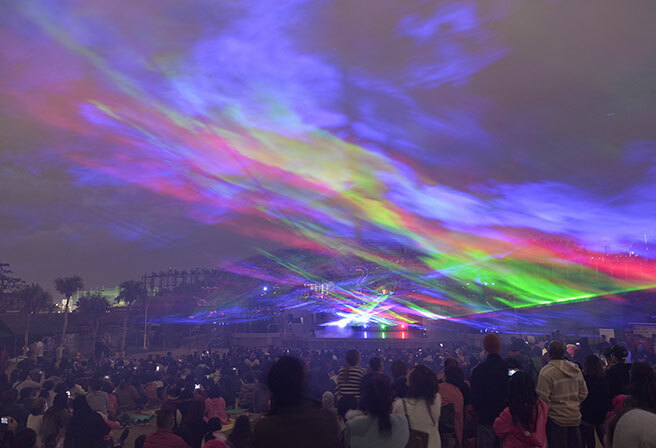 Approximately 140 thousand lights will decorate the park, along with Okinawa’s largest laser light show, a snow machine and a stage for various dance performances. There will also be games of bingo, so that both children and adults can join in the fun. This year a giant Santa will appear on the lake, and there will also be a scary zombie street area! Let’s enjoy an exciting Christmas! 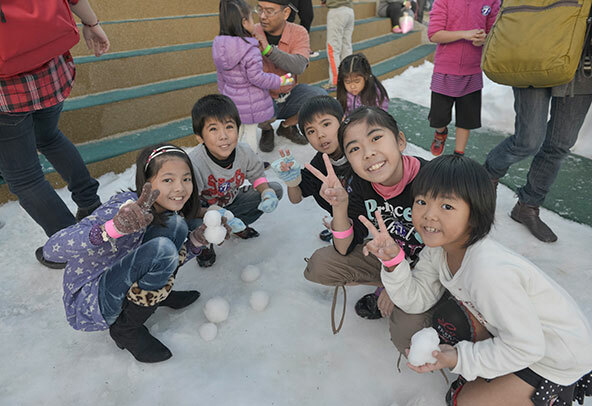 Snow will fall in Okinawa! 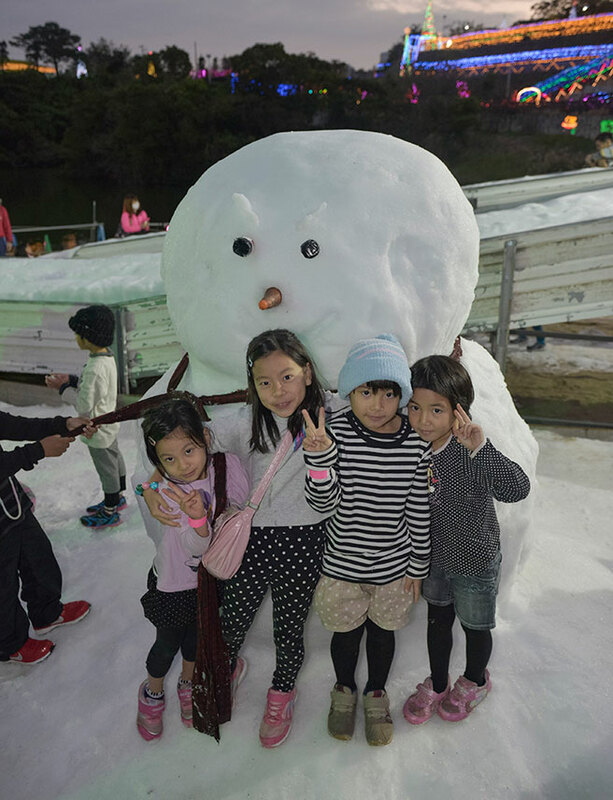 With sledging and snowball fights, let’s all enjoy the fun together! 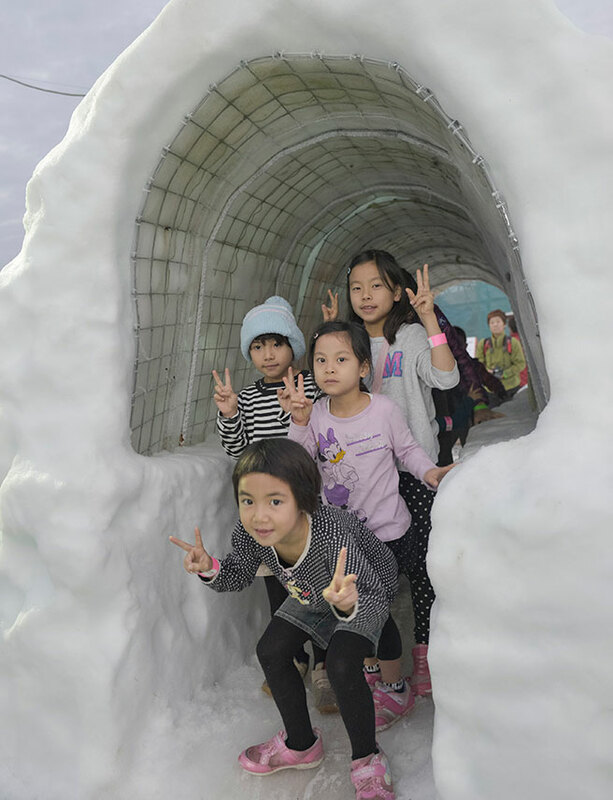 There will also be traditional snow huts, called Kamakura! 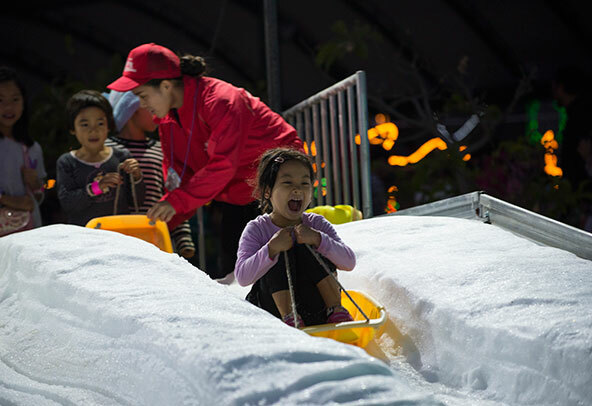 ※ Visitors can also enjoy sledging, snow tubing and a snow machine at the Snow Park! 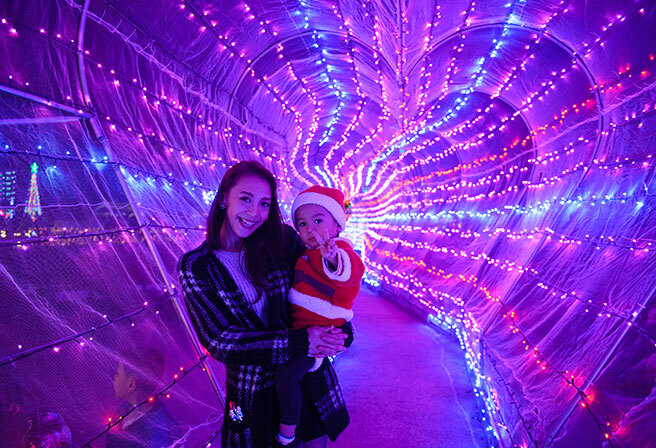 There will be a pink tunnel shaped like a heart, a popular spot for taking pictures! ・There will be a free shuttle bus to the zoo entrance. On the day, the area surrounding the zoo will be extremely crowded so please head straight to the temporary parking area. 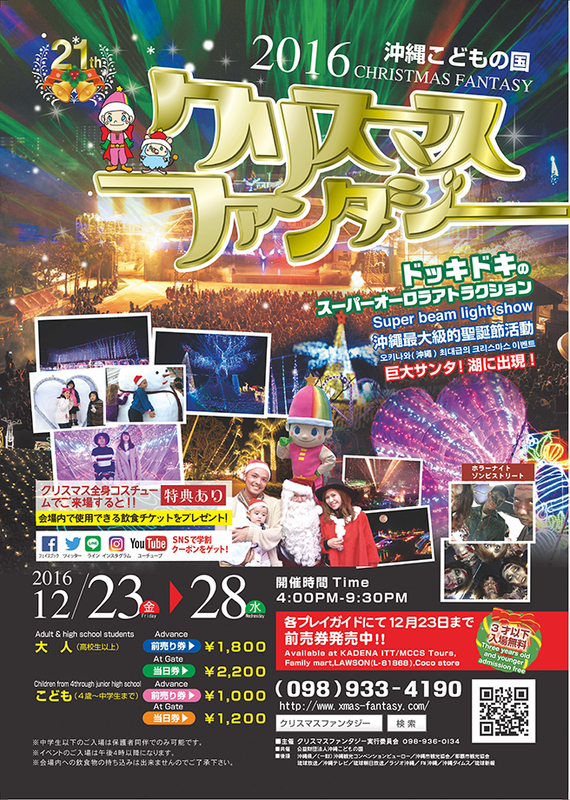 ・There will also be a free shuttle bus operating between Aeon Mall and the zoo. Anyone who comes dressed in a full christmas costume will receive a free meal ticket to be used inside the zoo! ※Those aged 15 and under must have a guardian present. ※Event admission is after 4pm. ※Food and drink is not to be brought onto the premises.